Because of a picture in Instagram made me included this town to my trip list. I saw a picture of a someone standing on the hill with lake and mountain as a background. It was so cool! I promised to visit that place! The Hill is called Roys Peak. 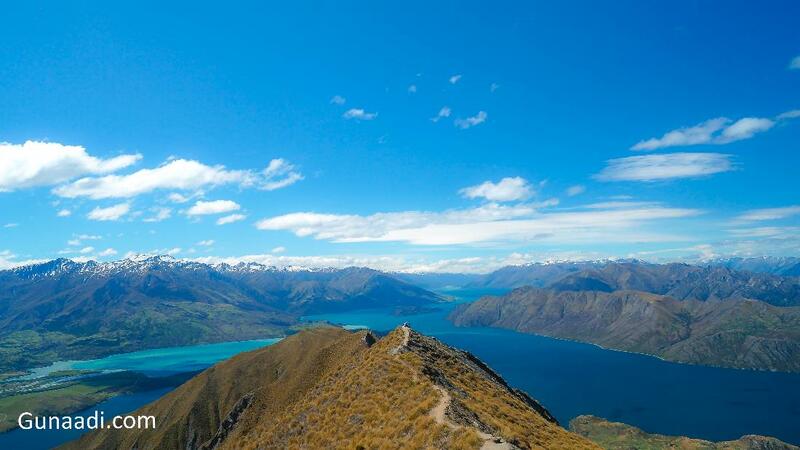 Roys peak is a mountain standing between Wanaka and Glendhu Bay. It is a 6 hour trekking with zigzags steeply up typical track. I thought it could be easy track for me but i was nearly die there. I didn't bring sufficient water. that was my mistake. 12:30 - 14:00 : walking to the Roys peak entrance. The gate was 6.5 km from the Wanaka town center. Not recommended to walk until the gate.. better to hitchhike and it was quite easy. Most of the bus from Christchurch to Queenstown and opposite direction like Nakedbus and Intecity will make a stop in Wanaka. As usual, no public bus services is provided in this town. So you have to walk for getting around. Good luck! Hitchhike to Roys peak quite easy. 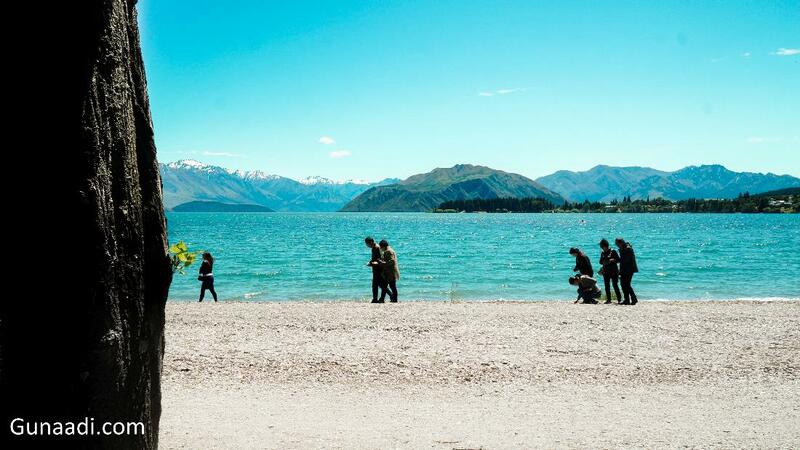 I stayed in X-base Wanaka. It might be the worst accommodation during my trip. the location was convenience and the price also lower than other (30 NZD). However, the wifi was payable. That was the worst. Other thing, the kitchen was too complicated especially the stove. Quite difficult to turn on the stove. It needed a lighter so quite dangerous. The kitchen was also not so clean. The rest was okay but i hope they make improvement. this review is for 2015. 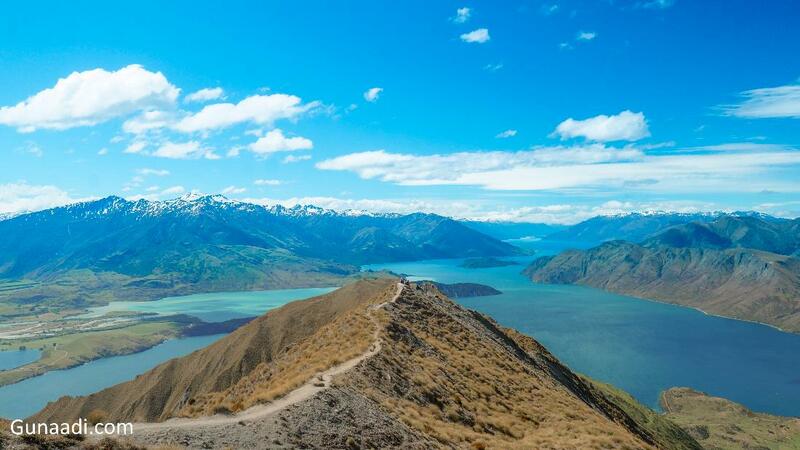 It was a long journey for me to walk from Wanaka center to the entrance of Roys peak. The distance was around 6.5 km or 2 hour walking. 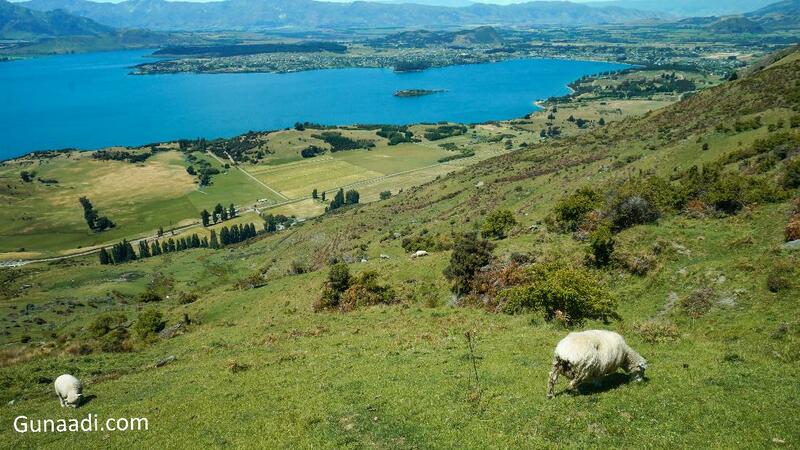 I only needed to follow the main road or shore of Wanaka lake to the Mount roys direction. Mount Roys could be seen from the town so i thought the entrance shall be nearby. Every 30 minutes, i asked everyone on the way whether i was in the correct direction or not. After almost 1.5 hours walking, a brown car stopped for me and offer for a free ride. He might see me full of sweat and looked hopeless. He was a New Zealander and want to go to the same direction like me. He said "there is another place more beautiful than Roys peak". However, it was too far from the town so i asked to be dropped in front of the Roys peak entrance. Thanks for the man with his brown car for the free ride and sorry to forget your name! In fact, Hicthhiking was pretty easy there. The entrance was a small woody gate and small "Roys Peak" metal sign. It was looked like own privately. If there was no car stop there or the guy that gave a ride to me didn't tell me, i might skip it. There were around 3 cars stopped in small parking area. I ignored them and went through the entrance. I saw small deposit box there and gave some bucks. From here, my journey began! I started this journey with optimize feeling. The track was pretty easy but veryyyyy loooong. sometimes, i walked on the grass and sometimes on the sand rock. I wore a hiking shoes. It was not necessary. You could use any shoes and the most important was the shoes should be lightweight. Even some trekker wore Slipper. I was thinking to wear pantofel shoes later on. lol (Anyway you can get good discount shoes here ). I enjoyed the track especially when i met sheep. Yes! there were a lot of sheep along the track. They always looked at me but when i tried to get close with them they ran. so funny! Actually, The track crossed private land and used as livestock. that is why every 1st October - 10 November the track was closed for lambing. After walking for 2 hours, i just realized that the peak was still so far. The track was steeply zigzag and this made the journey so long. Sometimes, i tried to walk using shortcut but useless. I asked people who crossed with me, "how long is it until the peak?" The trekker said, "You are just half way but no worry...very beautiful up there". What! just half way!!!!! be patient...something beautiful waiting me up there. I decided to stop my trekking on the remarkable spot for photography (Everyone always posted the picture from here). It was small peak of another hill and lower than the real Mt roys peak. the summit still around 1 and half hour walk. I Couldn't walk anymore and not enough water to continue even for going down. My throat was very dry even i could ate my lunches. not enough saliva! I saw some western still had some stamina to go higher. Why they are so tough?!? never mind......What i could do was just enjoying the scenery. believe me it was very beautiful! I make special column for them because they saved my life! I decided to go down after several minutes had a rest on that summit. I thought i couldn't make to get down. No more water i had. I tried to walk slowly for 2.5 hours until the entrance I made it but i was almost die! lol. I didn't know how to go back to the town (I was still 6.5 km away from the town)..maybe i tried my luck for hitchhike or walking. I was very thirsty at that time. I looked there were 2 car in the parking area. the first car was owned by a man with his black glasses and a beer. Another car was rented by 3 girls and from their accent, i guessed they were a German. I ever took some German class as my back up plan. I tried my luck to the second car. I asked them for some water and horay!!!! They give it! Went back to the town, bought a lot of food and slept. Just got my life back!!! !